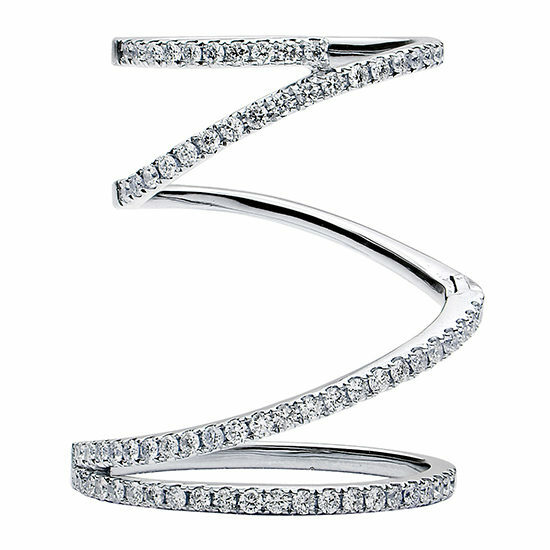 Hinge ring 18k white gold with 0.71 carats of perfectly matched pave set diamonds. Created to fit over the knuckle and move with your finger. The ring has a well designed hinge that allows your finger to move and makes the ring appear to move in synchronicity with your finger. 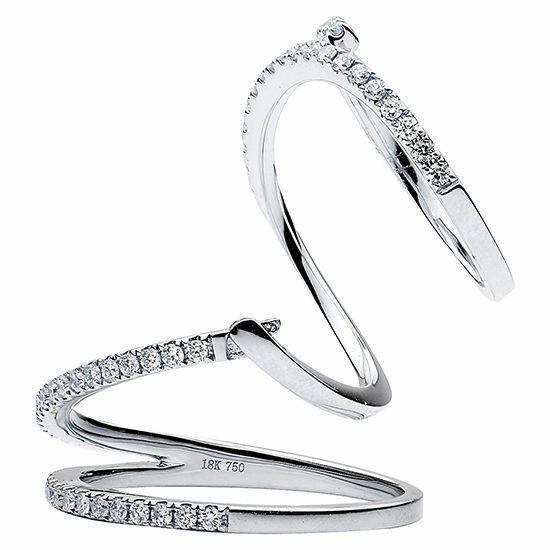 Designed to combine a traditional ring and a midi ring in one, this piece of jewelry is completely unique.